I remember one day when my nephew introduced me to one of his friends. His friend said, "You're Uncle Tom? After he finally stopped laughing he said, "I thought you were a short, bald, fat guy who smoked a cigar." My nephews just about died laughing. I said, "No, I'm not a Danny DeVito look a like." That summer I received a call from my Nephew. He told me that had put a band together with is brother and some of their friends from High School and they wanted to know if I would take them around the country on the eXtreme (Music) Tour. I agreed to take him, his brother, his buddies, their roadie and their manager all over the country to play their music. Nothing like being responsible for 6 hormone filled teenagers. It was that summer that I started making my Home Made Rice Pilaf in bulk to feed all 9 of us (my oldest son went with us as well) while on the eXtreme Tour. 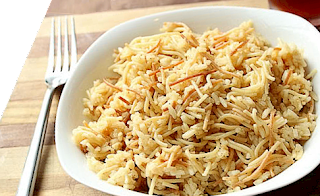 Over the years I have perfected my Home Made Rice Pilaf recipe and people have actually told me that my Rice & Pasta taste better than the original Rice a Roni. I have been offering Uncle Tom's Rice Pilaf in bulk to restaurants and buffets in Las Vegas and all across the west coast. Now you at home can purchase Uncle Tom's Rice Pilaf in bulk as well.